Standing by the Bridge of the brave women from Kruščica, which was named in their honor after the August attack by the police. Bosnia and Herzegovina belongs among highly conservative countries where traditional customs and cultural and social conventions are still alive. These traditions are often part of religion. Country’s religiosity reaches around 97 % with Islam being the most spread. The local, originally patriarchal system of society has developed during last several years, although it’s not always due to influence of Western culture. In some cases, the reason can be a heroic protection of a wild river, just as local journalist Jelena Jevđenić presents in the story of brave women from Kruščica. Ecological activism has opened an opportunity for women to be active in new ways – such as to take part in decisions that are important for their environment by being directly involved in the work of local councils. The wild development of the energy sector based on hydroelectric power plants is increasingly common in Bosnia and Herzegovina. The main reason for construction of HPPs is allegedly the economic profit of such projects, but the size of the environmental disasters caused by them is enormous. As the Center for the Environment says, the theoretical hydropower potential in Bosnia and Herzegovina is about 99,256 GWh/year, whereas the potential of solar power in the country is up to 667,000 times larger! The Center also claims that more than 300 hydropower plants are currently being built on rivers of Bosnia and Herzegovina. That’s possible only because of an ecological value of Bosnia and Herzegovina's wild rivers, biodiversity conservation, water supply and tourism potential are not important for private investors. In addition, state authorities are hardly concerned with this issue, so conservation of the environment is melded on the loins of several active associations from the regions and “ordinary” citizens of Bosnia and Herzegovina. In addition to fighting for the river metaphorically, local people have to deal with real-life skirmishes. The police from the near city of Vitez are accusing them of illegal blockade of the public road. On August 24th early in the morning, a special police unit of heavyweights stroke the crowd of women demonstrating seated on a bridge over the river. It was paradoxically them, who were later labelled to be the offenders of this conflict. In the canton capital of Travnik, the first court trial with twenty-two women and one man from Kruščica was held on November 6th. The environmental movement first appeared in the 1950s. Since then, many activists around the world have been subjected to various forms of violence. An annual report, published by an international non-governmental organization International Global Witness, named the year 2016 "the deadliest year on record". Murders, kidnappings and threats are part of the activists persecution that are on the rise worldwide. 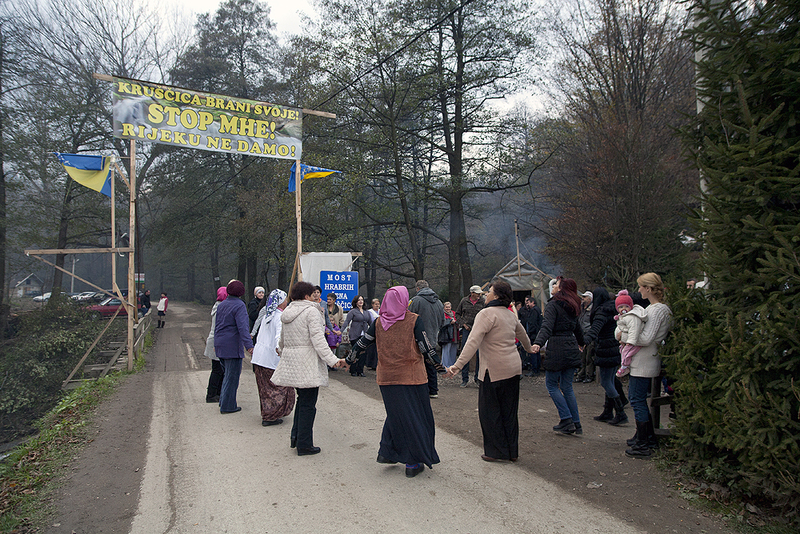 Meanwhile, the three-month struggle of Kruščica residents to protect their river has changed much in their village. At the beginning of November, elections to local councils took place in the Vitez district. In Kruščica, six women succeeded for the first time ever and will represent the people in the local council, with Tahira Tibolt as the chairman. People used their electoral rights, and by the majority decision the extraordinary river-guarding women were chosen. 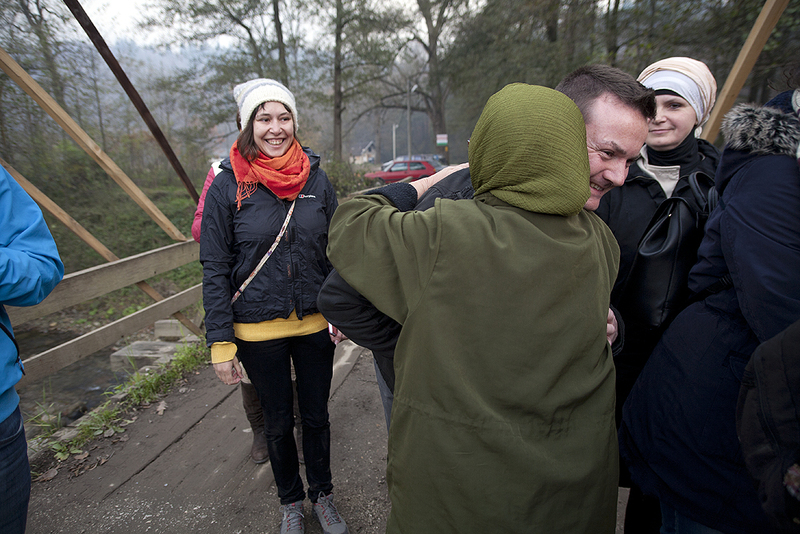 All women in the council are activists from the so-called Bridge of the brave women from Kruščica. Such a big change in a small village is an indicator that one fight leads to further steps. Unobtrusive to almost invisible women come out of the darkness of the patriarchal environment, being supported not only by other women, but also by men also. Ecological activism has opened up the way for girls and women to work on the other fronts, and has provided an opportunity to engage and participate in decision making on issues relevant to their lives, as evidenced by direct involvement in the work of local councils. This text by the journalist Jelena Jevđenić was created under the name "Kruščica - Ekološki aktivizam i osnaživanje žena" for the Impuls Portal in cooperation with the Center for the Environment during a two-day trip to the Željeznica and Kruščica rivers. For Arnika,Marcela Kolářová translated it with consent of the author.